On March 25, 1995, I married my best friend, Liza Woods. Right from the beginning of our relationship, we both knew we wanted to have many children. And so, you can imagine how excited we were six months after we got married when we discovered that Liza was pregnant with our first child. Yet, along with that excitement came a sense of the awe and responsibility of raising children. What did we know about being good parents? What if we made some mistakes and totally messed up our kids? It was then that we were thankful for this wonderful promise from the Word: If we as parents will do our part in training up our children in His ways, then He has promised to hold them on the straight and narrow path. Philippians 1:6 says, “being confident of this very thing, that He who has begun a good work in you will complete it until the day of Jesus Christ.” (Today, we have four amazing children aged 10-17). 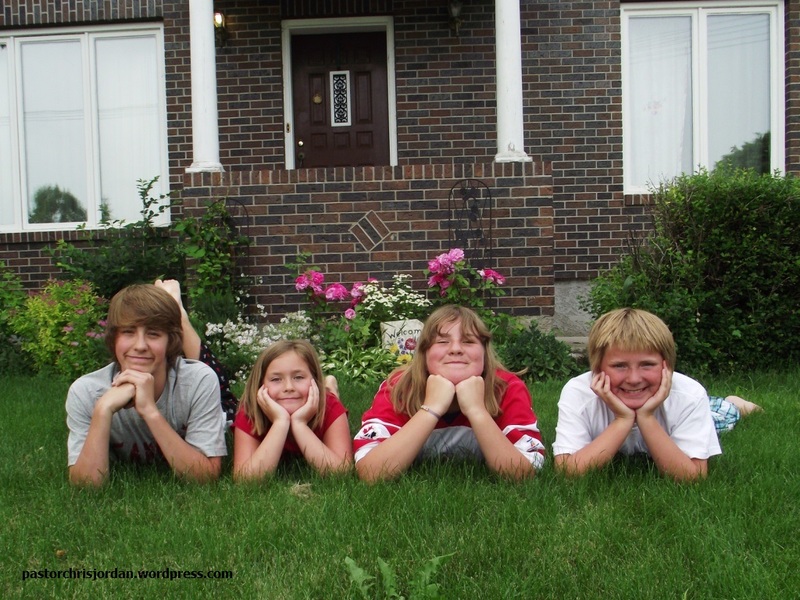 My children – Caleb, Hannah, Tori & Austin – who love the Lord! Our hope and prayer is that our children will grow up to know Jesus personally, experience the love of God, and serve Him with all of their hearts. But what can we as parents do to ensure that will happen? The answer of course is in the Bible: “And you must love the LORD your God with all your heart… And you must commit yourselves wholeheartedly to these commands I am giving you today. Repeat them again and again to your children. Talk about them when you are at home and when you are away on a journey, when you are lying down and when you are getting up again.” (Deut. 6:5-7). Unfortunately, we have this Sunday school mentality in the North American church that says, “I will just bring my kids to church, and send them to Sunday school, and I will let the church teach them about God.” However, if parents think that one class once a week is going to help their children to know God, then they are mistaken. Children spend approximately 35 hours a week in school, and countless hours watching television and playing video games. If parents aren’t taking the time to teach their children about God on a daily basis, then they are going to lose the battle for the souls of their children. Don’t misunderstand what I am saying here. I believe firmly in the importance of children’s ministry in the church, and believe that the church must come alongside of families to help them train their children. But this cannot take the place of regular instruction in the home. Pray for your children daily, and take the time to sit down and teach them God’s Word. Commit to doing family devotions every day, and when you do, God’s hand will be upon them always. This entry was posted on Wednesday, August 10th, 2016 at 7:00 am	and tagged with children, parenting, proverbs and posted in Uncategorized. You can follow any responses to this entry through the RSS 2.0 feed.